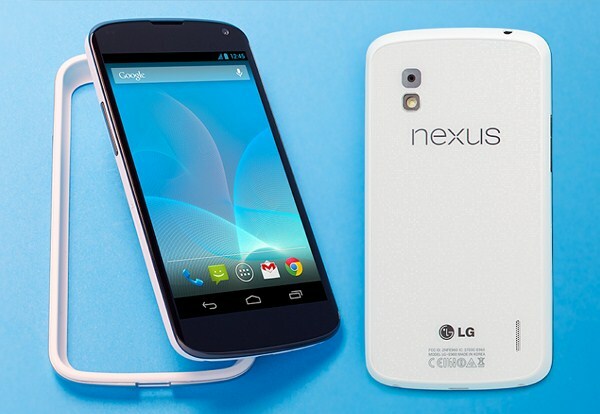 White Nexus 4 device now goes for sale in the US through Google Play Store and T-Mobile. Starting today you can buy the device from Google play with price of 8GB version for $299 and the 16GB version for $349. And also the company offers free color bumper for every purchase of both Black and White Nexus 4, this offer available for limited time. You have to pay $427.99 for 16GB version to buy Nexus 4 device via T-Mobile. The hardware and software specs are same in the black and white devices. The phone features 4.7-inch IPS display with 1280 x 768 pixel resolution (320 ppi). The device powered by 1.5GHz Qualcomm Snapdragon S4 processor and runs on stock Android.